[i am a dekaphobic]: Shop and Get Your Cash Back with Shopback.ph! 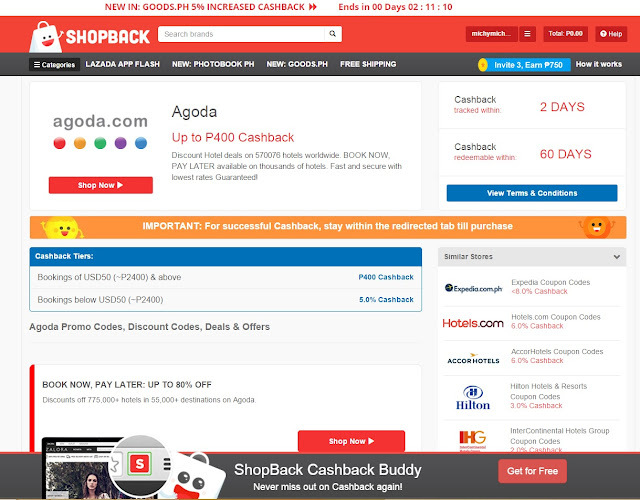 Once you have made your purchase/s, your cashback will be added to your Shopback account within a few days. 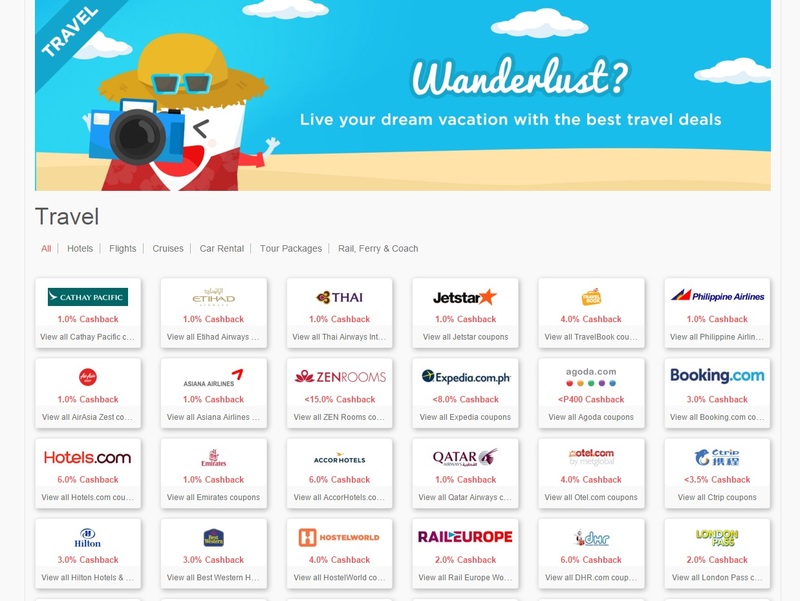 As soon as your cashback is redeemable, you may have it cashed out by transferring to your local bank account or your PayPal account. Aside from travel purchases, you can also get cashbacks for other things like fashion, groceries, and even electronics. I find Lazada especially worth it because electronics and gadgets tend to be more expensive. Shopback.ph offers up to 4% cashback as well as voucher codes etc for Lazada so you can get the most out of what you spend. Buy more and save more. 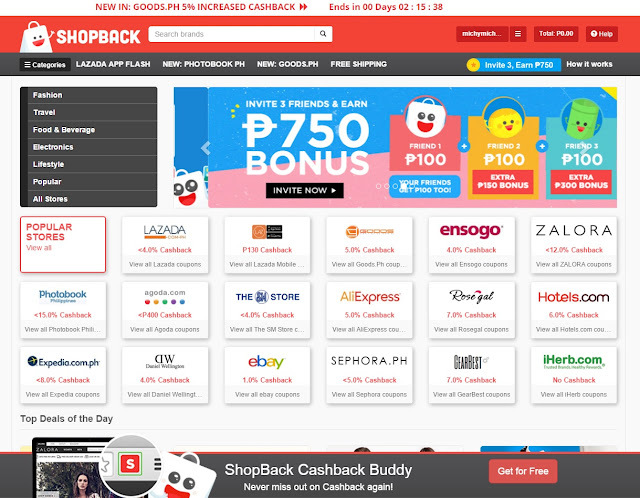 Shop now at Shopback.ph!